“Cosmic Girl" wykonał ostatnio 3 loty z pylonem. Przewidziane jest na najbliższe tygodnie rozszerzenie tego typów lotów , potem seria lotów z modelem RN LauncherOne i niewykluczone , że przed końcem roku doczekamy się podjęcia próby orbitalnego testu. (...) The company disclosed few details about the test flights, but flight tracking services such as Flightradar24 list three flights of the aircraft in recent days, most recently Aug. 27, taking off from the Southern California Logistics Airport in Victorville, California. 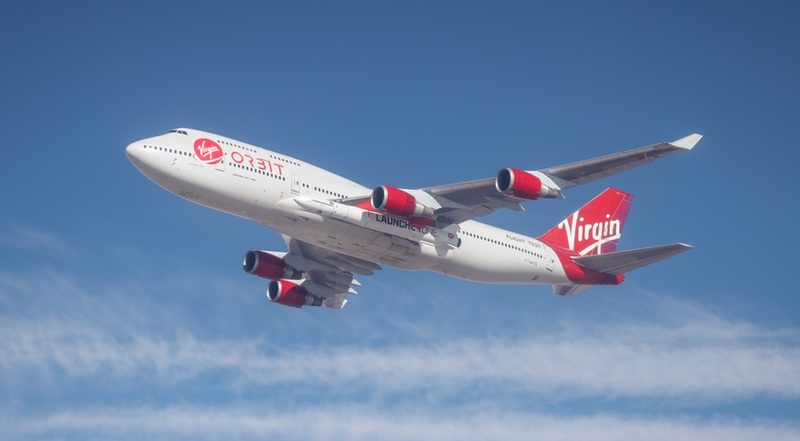 The flights ranged in duration from one and a half to three and a half hours in airspace over the Mojave Desert and over the Pacific Ocean off the California coast. The company installed the pylon about a month ago, attached to a point on the wing between the fuselage and the inner engine designed to ferry a fifth, non-operational engine. Those test flights went “extremely well,” according to a company official, calling it a “big milestone” as the company. In a commercial space panel discussion Aug. 1 at a meeting of the Air Line Pilots Association here, Todd Ericson, vice president of safety and flight test at sister company Virgin Galactic said a series of “envelope expansion” test flights of the 747 with the pylon was scheduled for the coming weeks. The company then plans to carry out a series of captive carry test flights with a model of the LauncherOne rocket, culminating in a test where the rocket is dropped. If successful, those tests would clear the way for a first orbital launch attempt by LauncherOne “by the end of the year,” Ericson said. “Cosmic Girl” 747 wykonał pierwszy lot z doczepioną rakietą. by Jeff Foust — November 18, 2018 , Updated 4 a.m. Eastern Nov. 19 with company statement. Filmik przedstawiający jak będzie wyglądała integracja ładunków z rakietą. Ciekawe rozwiązanie. Strona wygenerowana w 0.328 sekund z 25 zapytaniami.